Incepted in the year 2008, at Noida (Uttar Pradesh, India), we “Sar Tech Solutions Pvt. 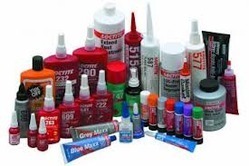 Ltd.” are established as the sole Authorised Distributor/Importer of "Henkel-Loctite" Products and Tesa Specialty Adhesive Tapes for Industrial use. We have branch offices in Haridwar (UttraKhand) and Faridabad (Haryana).